Actually, we have become very picky about China smartwatches because many models are not fully developed. Since the Kospet Hope with its huge 32 GB memory breaks any categorical boundaries, we can’t help but introduce it to you. Will the Kospet Hope become a hope? Even in 2019 the Smartwatch sector is stuck. Similar to the tablets there is not as much variation as in the field of smartphones. Nevertheless, the Hope has a lot to offer, first and foremost a simple, black design. Thanks to the two function keys on the right-hand edge of the case, the watch could easily be confused with the Ticwatch C2, but at second glance a few differences are noticeable. After all, the manufacturer relies on ceramic elements here, at least the display rim consists of them. The rest of the watch is made of stainless steel. Speaking of displays. It measures 1.39 inches diagonally and consists of an AMOLED panel with a resolution of 400 x 400 pixels. We already know this from the Ticwatch E2. We hope that Kospet will install an equally good touch screen here. On the underside there is also a heart rate monitor, the SIM slot and two gold contacts to charge the watch. 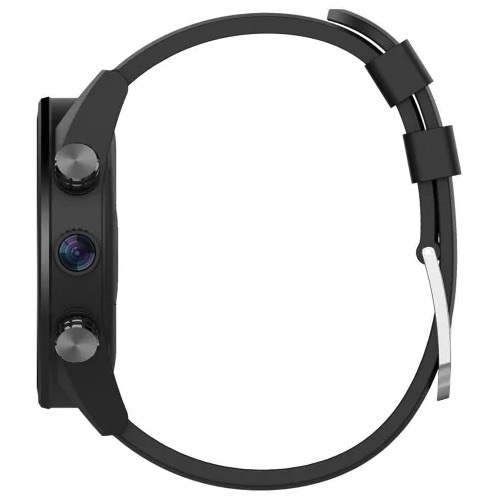 The wristband is a silicone wristband, which can be easily replaced. Kospet also produces a leather bracelet, which has to be purchased separately. As already mentioned, there is a lot of hardware in the Smartwatch. That’s why it is also very large with the dimensions of 265 mm (total length), 49 mm (length of the watch case) and 17.5 mm (thickness of the watch). Would you like to wrap it around your wrist? 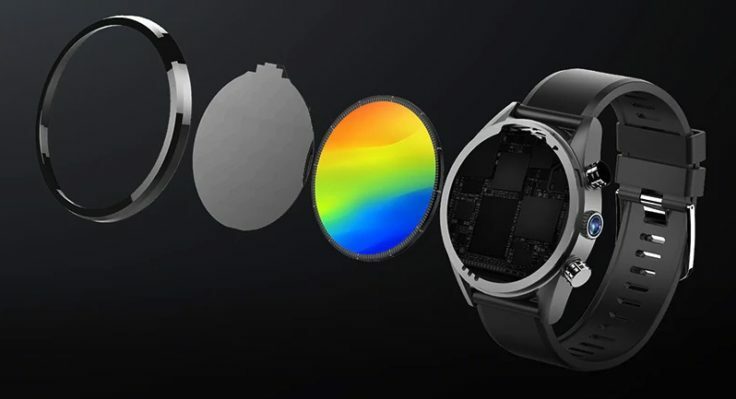 While it looks like a boring Smartwatch from the outside, it gets exciting inside. It feels like some records have been set here. The core is the MediaTek MTK6739 processor with four (!) cores and a clock frequency of 1.3 GHz. This means that theoretically more power is available than with the competition. But there’s also 3 GB of RAM and 32 GB of internal memory on the clock. That’s the biggest memory I’ve seen in a Smartwatch so far. But that’s not all: The Kospet Hope is equipped with an 8 megapixel camera. Also all kinds of connection possibilities are given. Bluetooth 4.0, GPS, Dual Band WiFi, GPS + GLONASS and a nano SIM slot with support for LTE Band 1 / 2 / 3 / 5 / 7 / 8 / 12 / 17 / 20 are on board. To supply all this with power, the Kospet Hope uses a rechargeable battery with a capacity of 620 mAh. 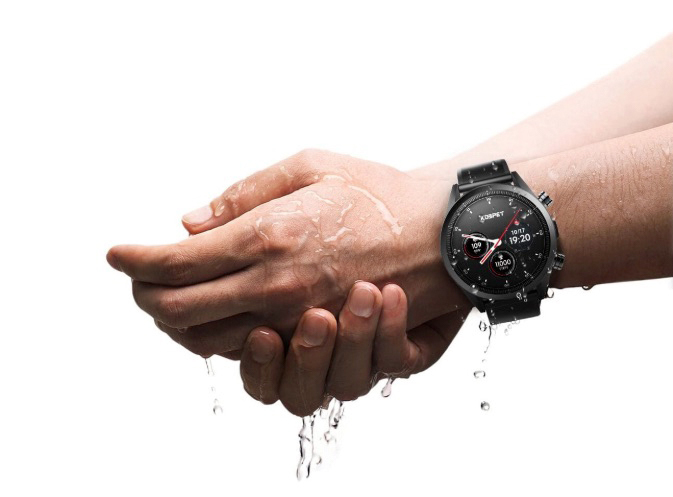 Compared to the relatively established Ticwatches, this is 1.5 times as much, compared to the Amazfit Stratos even twice as much. Does this mean that the battery life is twice as long? After all, the Kospet Hope is equipped with an IP67 rating, so it is dustproof and protected against temporary submersion. We have reservations about that. Like many China smartwatches, the Kospet Hope uses Android 7.1 as its operating system. This is not a proprietary operating system and not an OS specially adapted for Smartwatches, but Android as it runs on a smartphone, in a modified form. In the past, this caused poor compatibility with some apps, unadapted displays and poor battery management. The WiiWatch app, which you can use to connect the Watch to your smartphone, is also a thorn in my side. Hardware isn’t everything. China smartwatches are a prime example in my eyes, so we only test smartwatches like the Ticwatch models or the Amazfit models. But now more and more requests came from you if we wouldn’t like to test them. 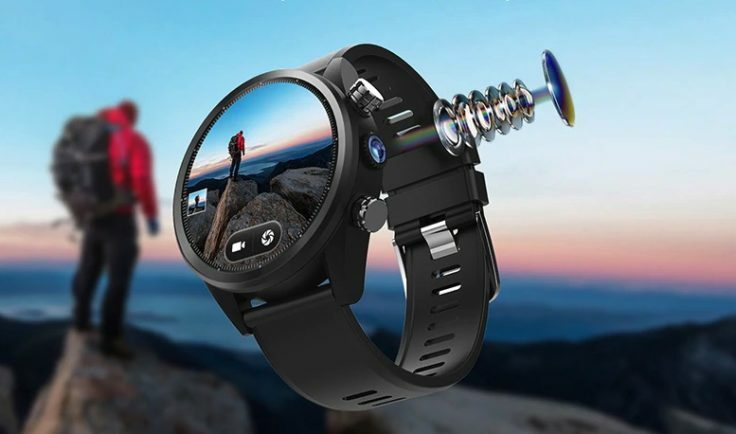 I’m of the opinion that this one, like many other China Smartwatches, is not worth its money, because it’s in principle not a useful addition to a smartphone, but only a “middle class smartphone” on the arm. If you don’t agree, please post your opinion in the comments. Shall we test them? Do you already have experience with the manufacturer “Kospet” or even with this watch?